We’d love your help. Let us know what’s wrong with this preview of The Beast Player by Nahoko Uehashi. In epic YA fantasy about a girl with a special power to communicate with magical beasts and the warring kingdom only she can save. Elin's family has an important responsibility: caring for the fearsome water serpents that form the core of their kingdom's army. So when some of the beasts mysteriously die, Elin's mother is sentenced to death as punishment. With her last breat In epic YA fantasy about a girl with a special power to communicate with magical beasts and the warring kingdom only she can save. Elin's family has an important responsibility: caring for the fearsome water serpents that form the core of their kingdom's army. So when some of the beasts mysteriously die, Elin's mother is sentenced to death as punishment. With her last breath she manages to send her daughter to safety. To ask other readers questions about The Beast Player, please sign up. Will there be a sequel? Becky B There are four books in the original Japanese series. I really can't convey how breathtakingly beautiful this story is. This follows a young girl from the age of 10 to 18 as she learns about a world she spent most of her life sheltered from and the beasts who inhabit it. If you love Studio Ghibli, you will love this book. If you want a culturally rich young adult fantasy, ripe with Japanese mythology, you will love this book. If you love animals, you will love this book. In this world, giant water serpents called Toda are trained to fight in the royal army and protect the country's border. The defending kingdom is protected by giant bird like creatures they call the Royal Beasts. Neither country realizes the suffering they cause these animals. A young girl named Elin is orphaned at the age of 10 when her mother, a Toda stewardess is blamed when the group of Toda are found dead. When Elin discovers she is able to communicate with the Royal Beasts she must decide who she can trust with this knowledge and who are actually enemies. Nahoko Uehashi ,is in fact a famous teen fiction writer in Japan and is also famous for the "Moriboto " series of books. This is a world where huge serpents called the Toda are trained for battle by the Aluhan who use them to defend the borders of the country ruled by the Yojeh (divine Goddess).The Yojeh are in turn protected by the huge magnificent ,golden royal beasts who can fly in the sky and whose natural prey are the Toda.It is a world where humans fight their wars using these fierce animals without realizing the harm caused to the animals.Erin,the heroine is orphaned at a very young age and she has a heart filled with compassion for these animals .She is the only one who can communicate with the beasts and this gift makes her get caught in the murky waters of state politics. This is a very beautiful book with writing that just flows like a smooth stream,peaceful and calm.The natural descriptions were really wonderful including two or three chapters on bees.I loved the heroine Erin who is exceptionally quiet and looks at the world with different eyes.She is innately curious and wants to know everything about the animals she comes across.There is a lot of discussion about using creatures who are meant to be in the wild for their own selfish reasons. The only thing I did not like was the abrupt ending.It was as though the story was left hanging Midway . 100% a new all time favourite. will review properly later! I enjoyed this one. Wow, was it actually almost 15 hours? It did not feel like that, I listened to it really quickly. It follows Elin, whose mother is killed at the beginning when the serpents under her care die. (yes aholes much!) The rest of Elin's family is nothing to have and she is sent away. There was a lot of bee talk. Complicated creatures. But I liked it, Elin is 10 and she needed something stable. I liked her time there. Will say no more. Then there is a school and beasts. This country us I enjoyed this one. Wow, was it actually almost 15 hours? It did not feel like that, I listened to it really quickly. Then there is a school and beasts. This country uses water serpents to fight and then there are the royal beasts that are treasured beyond all as a symbol for the country. Elin comes into her own here. She is a very peculiar 10 year old, she loves to question things and think things true. And she does not loose that as she grows up. The world was well done too. I felt I was there. The bees made it so. The end, well it must be a series since this is book 1 and 2. And there are a book 3 and 4 too in Japanese. And I can not read the blurb, srsly, I want to know! Is it about Elin still? About something else. Ok I have to ask someone. Because it does end, sort of good. Happy for now, but things are not calm. She did a great job with male and female, old and young. I felt Elin grow under her narration and it fit her well. This is an epic Japanese fantasy about a girl who doesn't quite fit in. Her adventure starts, when she discovers her mother has a special ability and can communicate with animals. I'm so conflicted about this book. On the one hand, it was very unique, with well developed characters, a gripping plotline and the writing was beautiful. I understand that it was all extremely relevant information, but it just didn't hold my attention. And the fact th This is an epic Japanese fantasy about a girl who doesn't quite fit in. It made me a little mad to be honest. If the other books will be translated, I will definitely continue, because I did really like the story, there were just a few thinks about this book that irked me. I really enjoyed this YA epic fantasy. Maybe not that ground breaking, but an immersive read with an interesting female lead. Just what I was in the mood for and I look forward to further installments. En bok riktad mot barn och tonåringar. Mycket välskriven och snyggt berättad. 4.75 Stars for reasons I’ll get into. Okay, things to know. My brother, who is pretty good at Japanese (not just saying, he passed the top JLPT, so it’s kinda hard to test him further) read the first volume of this, has the second, and watched the anime of this (I think it’s under the title “Beast Player Erin”), so he knows the basic plot when I discussed it with him. This appears to be the complete story and not just volume 1 of the first book of the Japanese volumes. At the very least, it’s the 4.75 Stars for reasons I’ll get into. Okay, things to know. My brother, who is pretty good at Japanese (not just saying, he passed the top JLPT, so it’s kinda hard to test him further) read the first volume of this, has the second, and watched the anime of this (I think it’s under the title “Beast Player Erin”), so he knows the basic plot when I discussed it with him. This appears to be the complete story and not just volume 1 of the first book of the Japanese volumes. At the very least, it’s the first two volumes. I cannot verify, and if I can ever get him to touch the physical books again, I’ll update this. I’m shelving this as Young Adult, because I agree with Pushkin Press that it is. However, it’s sort of weird in tone for a Young Adult tone. Maybe “New Adult” would be a better term. It’s very obsessed with biology, and it sort of sticks out in my mind compared to the typical English YA book I read. Elin doesn’t really deal with love triangles for example. Romance is there and it does drive the plot, but not in the traditional YA sense. The plot takes place over, roughly ten years (I may be off by a few). It’s a bit slow-moving, especially for the majority of the first half/book, so if you’re looking for something fast, this may not be for you. The names are really interesting. They’re Romanized in a way that’s not difficult to say (though I’d personally write them with dashes or something for syllable breaks, but that’s preference, don’t mind me), but gives them a fantasy-feel. I would love to pick Nahoko Uehashi’s brains about the naming scheme in the book, not just for the characters, but for the terminology. I know she has an anthropology degree (excellent choice, but I’m biased), but I don’t know if she has any linguistics or foreign language background. Let’s talk about Romanization of Japanese terms for a bit. I am by no means an expert (se habla español ), but this is basically why it’s not a perfect 5 for me, because when I dug into this book, I could not understand why the decisions were made that were. You have two main beasts (the kanji may be wrong; my brother wrote them from memory). 闘蛇 Tohda, 王獣 Oujuu. The first translates as “War Serpent” if you want a poetic name (Battle Snake would probably be more accurate but that’s kinda… ) The Latter IS translated in the book as Royal Beast. The former is left as “Tohda”. I can’t figure out why both aren’t translated. It seems inconsistent to me. To end with: Pushkin Press (yes, if you’re an American you have to import this, but Pushkin Press is awesome. Do it.) puts this in their children line. I think that’s that’s up for debate, but anymore I don’t think there’s any shame in reading Young Adult books as long as that’s not all you’re doing, like how literally no one cares if you watch anime except the people who also watch anime. I have to strongly recommend this book to everyone--but only for selfish reasons. This is the first book in a finished tetralogy, but the only book so far that has been translated into English. I'd previously read two books in the author's Moribito series (Only 2 of the 10 books in that series were translated before the translation effort stopped or at least stalled). Unlike that series, this book doesn't stand alone well. Frankly, most of the book is slow paced set up for events that begin to u I have to strongly recommend this book to everyone--but only for selfish reasons. This is the first book in a finished tetralogy, but the only book so far that has been translated into English. I'd previously read two books in the author's Moribito series (Only 2 of the 10 books in that series were translated before the translation effort stopped or at least stalled). Unlike that series, this book doesn't stand alone well. Frankly, most of the book is slow paced set up for events that begin to unfold at the end of this story but clearly much remains for later volumes that I don't yet have access to. I am in awe of this incredible book, & to know this is just the start of a series makes me want to weep with joy. Uehashi has created such an incredible world & story, that I no longer have any need of the real world. I have no more words, this book was perfect. This is now sharing the place of my favourite book with Shadows on the Moon by Zoë Marriott. I was sent a copy of this book in return for an honest review. Trigger Warnings: this book contains mild gore & racism directed at fic I am in awe of this incredible book, & to know this is just the start of a series makes me want to weep with joy. Uehashi has created such an incredible world & story, that I no longer have any need of the real world. I have no more words, this book was perfect. Trigger Warnings: this book contains mild gore & racism directed at fictional races. It was a tremendous fantasy tale. I was so mesmerised on how beautifully it was written. This story can be read from all ages. I thanked my friend for the recommendation and giving me this book. It was a worthy to stay up late reading this book. I stood on the edge of that abyss between man and beast and played my harp for you, checking each note, one by one, to see if it would reach you. The Beast Player is the story of Elin and her bond with Beasts. For years the law between man and Beasts is simple, they will never be loyal to us, they will never be tamed, they will always be wild. This book went completely in a different direction to where I thought it would go, I expected the typical political/royal secrets thing. Elin to be the girl that breaks all the rules and cause it all to come tumbling down. And this book kind of is that, but it's so much more. After Elin's mum is murdered by her she is raised by a kind stranger. Before she dies her mother tells her never to control the Beasts as it's a grave sin, years later Elin finds herself in a sanctuary for Royal Beasts and question everything that her mother said and how Beasts are reared in captivity. This book focuses on Elin's bond with the Beasts and the bonds she makes whilst growing which makes a welcome change to what this book could have been if it was more like the current YA books around. This is truly a beautiful book and would really recommend reading it. Don't forget you can follow & subscribe. Once you’re past the YA age range, it gets tougher and tougher to enjoy books set in that genre. As someone who grew up reading YA fantasy and dystopian novels, it’s very close to my heart. And I was especially happy that The Beast Player helped me remember the feeling again. The Beast Player is a story about how young Elin gets involved in the caring of the Royal Beasts after the execution of her mother in a horrific manner. The story is told through points of views of multiple characters, consi Once you’re past the YA age range, it gets tougher and tougher to enjoy books set in that genre. As someone who grew up reading YA fantasy and dystopian novels, it’s very close to my heart. And I was especially happy that The Beast Player helped me remember the feeling again. The Beast Player is a story about how young Elin gets involved in the caring of the Royal Beasts after the execution of her mother in a horrific manner. The story is told through points of views of multiple characters, considering it was a new world, the author has done a brilliant job in holding the reader’s interest by describing everything beautifully. Elin’s relationship with her mother, guardian, mentors and friends is written very realistically. The book is filled with suspense throughout, and after a point, it’s very tough to keep aside and move on with other chores. If you’re someone who enjoys fantasy fiction, then do pick this one up! It should be a must read for all fantasy genre lovers. I had difficulties getting into "The Beast Player" at first. The prologue read like a Generic Tragic Origin Story, detailing the horrible circumstances under which our future protagonist comes to be orphaned. Then you get fifty pages about beekeeping. And I fell in love with the story of the growth of a remarkable child, curious and quiet and determined as she embraces her kinship with animals. As she grows to adulthood, this kinship is noted by nefarious players in a burgeoning civil war, and "T I had difficulties getting into "The Beast Player" at first. The prologue read like a Generic Tragic Origin Story, detailing the horrible circumstances under which our future protagonist comes to be orphaned. Then you get fifty pages about beekeeping. And I fell in love with the story of the growth of a remarkable child, curious and quiet and determined as she embraces her kinship with animals. As she grows to adulthood, this kinship is noted by nefarious players in a burgeoning civil war, and "The Beast Player" pivots neatly into a tale of a young woman fighting to prevent others from exploiting herself and the magnificent beasts that she loves. Leelan, I just wanted to know. That's all I ever wanted... I stood on the edge of that abyss between man and beast and played my harp for you, checking each note, one by one, to see if it would reach you. It's such a beautiful book. Smart and well written, but above all beautiful. This is a long and layered fantasy novel, with a worthy heroine who suffers a great deal of personal loss, but always puts others first. Elin becomes entangled in her country's political unrest, and it is only by acting without regard for her own safety that she triumphs. It's a strong narrative, if somewhat dragged by repetition and detail. It's also translated,which can sometimes be an issue, but I was caught up in this Ancient Japanese fabled land and engaged with the characters. As I was browsing my library’s YA shelves, my eyes were drawn to a brand-new addition to the shelves that had gorgeous, colourful cover. Never having heard of the title before (which is rare thanks to all the exposure titles are given in the book blogging community), I picked it up and was immediately intrigued. I read the first couple of pages and knew I needed to read the rest of this book. 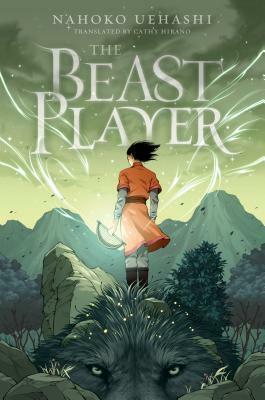 The Beast Player is a unique, sentimental, richly layered fantasy novel celebrating its Japanese heritag As I was browsing my library’s YA shelves, my eyes were drawn to a brand-new addition to the shelves that had gorgeous, colourful cover. Never having heard of the title before (which is rare thanks to all the exposure titles are given in the book blogging community), I picked it up and was immediately intrigued. I read the first couple of pages and knew I needed to read the rest of this book. 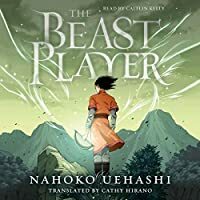 The Beast Player is a unique, sentimental, richly layered fantasy novel celebrating its Japanese heritage. With many books sharing similar qualities and minimal differences, The Beast Player was an unexpected breath of fresh air. There were many things I loved about this book. The first thing I noticed whilst reading it was how immersive it is. It’s been a long, long time since I’ve read a book that has captivated me enough to make me completely forget my surroundings. The world-building, the intricacies of the politics and society of this world, and the explosive start it began with completely reeled me in. This feeling of complete immersion stayed for the entirety of the novel. I don’t often read high fantasy, but now I’m rethinking my decisions. I loved how complex and intricate and detailed this created world was. I loved the originality. A kingdom split into two, one armed with serpentine Toda and the other armed with magnificent Royal Beasts and a girl who can communicate with both of them, a girl who can be used as a political pawn between the tense nations. The Beast Player managed to maintain a deeply detailed political world, whilst still incorporating sentiment and important messages that voice contemporary issues. These highlighted against the fantasy setting made them more palatable; the sexism and racism against (fictional) races were depicted with care. However, not lost among the politics and the plotting, was the ode to nature and the wonder of life. The mythological and fantasy elements are portrayed through the Beasts and the Toda, and through the girl who can control them. The Beast Player is filled with delight and appreciation of nature, the bond between man and beast, and the incredible uniqueness between the two. The standard aspects of a fantasy novel (politics, war, and schemes) were juxtaposed with the gentle appreciation of the natural world. So not only did I adore the detailed politics and societal classes of the world, I loved the main character. Elin is a character that I haven't encountered much of in the YA I've read. She's curious, quiet, and completely in awe of the workings of the world. The Beast Player shows Elin's journey from a 10-year-old orphan to a 20-year-old compassionate beast doctor. I don't know about you, but I LOVE books that span over several years. It allows me to watch the characters I love grow and learn. It allows me to watch the world I've grown to love evolve and develop. Elin was such an incredible character. She was vulnerable and had a quiet strength about her. She was compassionate, just, and put others above her. Always. The thing I want to emphasise most about her is her goodness as a character and the strength she possessed. She wasn't a charge-into-war-with-a-devil-may-care attitude like a lot of characters. She thought things through; she stood up for what she believed in; she was unfaltering in her compassion and integrity. Elin is one of my new favourite heroines. She's truly incredible. I also loved that the author depicted Elin with strength...and vulnerability. There's a scene in the book that traumatises Elin and the author shows her suffering with anxiety/PTSD, which I really appreciated. A lot of books I've read feature characters that don't show a genuine reaction to stressful events, so I appreciated it. "'It is just that I can see, as plain as day, the net woven by the actions of men, a net that Leelan can neither see nor feel...And being forced to play a role within this treacherous plot makes me want to puke.'" There are a host of other incredible characters that all play a vital role in the development of the plot and in the development of Elin. Joeun, the kind beekeeper who adopted Elin after her escape, was such a lovely character who I ADORED. He was thoughtful, caring, kind and compassionate; I loved reading about the relationship between him and Elin. He played a profound role in developing Elin's confidence, thirst for knowledge, and gentleness. I loved Ialu as well, and I hope I get to see more of him in the next books! I also appreciated Elin's close friendship with Yuyan. Female friendships are so important, yet they aren't featured nearly enough in YA. Elin and Yuyan supported one another and encouraged one another. Their genuine care for one another was beautiful, and I really appreciated the strength of their friendship. There is a character list at the beginning of the book that warned me of the sizable cast that would feature. I loved reading about all their machinations and the significant impact it would have on the other characters and the plot. I loved how there were so many threads that ran through The Beast Player that were all connected in some manner. This book was also feminist, for those who appreciate that quality in a novel. However, it didn't feel forced or preachy. It just was. All the female characters awe strong, determined and independent. They didn't bow to the men who tried to control their lives. Most of the esteemed positions in this novel were filled by female characters, from Elin's mom, Esalu, Seimiya, and Elin herself...they all played a paramount role in their society. They were clear-headed, strong-willed, and dignified. I absolutely loved the portrayal of the strong females in this world. Another thing I adored about this book was the relationship between Elin and Leelan, the Royal Beast cub that had been rescued and needed nursing. I loved Elin's ability to think outside the box and to try methods that were more considerate and compassionate than standard healthcare methods. I absolutely loved watching Elin's fearlessness in the pursuit of getting to know these animals and to give them a voice among the masses that viewed them solely as political pawns. I love books that explore the relationship between human and animal, and this book reminded me just why I love reading books like that. The frustration, the laughter, the sorrow, and the love in Elin and Leelan's journey will be keenly felt by the reader. I loved it. I really enjoyed the plot. This isn't a fast-paced novel. It's languid, gentle, thoughtful and detailed. It's a journey of a girl and a kingdom that spans a decade. I personally love fantasy novels that are slower in pace and richer in detail. Even though The Beast Player wasn't fast-paced, I wasn't bored for a second. In fact, I flew through this quite quickly. I enjoyed reading about the plotting, scheming, and planning that took place among the myriad of characters and how Elin's role was significant among the majority of them. I liked the writing too. This was my first read of a translated book, and I was really impressed with it. The writing is simple yet effective. Due to all the different aspects of the book, flowery writing would've muddied my clarity on all that was happening. The writing allows the beauty of the world and the characters to shine through. The only things I didn't LOVE about this book is that the workings of the world weren't explained until over 100 pages in (the Yojeh, Aluhan etc), so I was quite confused as I tried to find my bearings. Some things were mentioned in a roundabout way and not explicitly spoken, which made me a liiiittle bit confused at times. That being said, I did read this before bed when I was half-asleep, so it's probably a case of "it's not you, it's me". First Impressions: I’m always a little bit nervous when I decide to read a book that was translated from a different language into English. Let’s face the fact that the books have a 50/50 chance of being well-translated. I think this goes for any translated book around the globe. You have to have the right translator or the writing just feels totally…off. With that said, I was hesitant to read this book, but damn, that cover! It’s gorgeous. In the Japanese versions, this is the first of four boo First Impressions: I’m always a little bit nervous when I decide to read a book that was translated from a different language into English. Let’s face the fact that the books have a 50/50 chance of being well-translated. I think this goes for any translated book around the globe. You have to have the right translator or the writing just feels totally…off. With that said, I was hesitant to read this book, but damn, that cover! It’s gorgeous. In the Japanese versions, this is the first of four books, so my expectations are set pretty high. Also, I’ve always wanted the power to commune with the animals. I think what they have to say would be very interesting. Characters and Plot: Besides the fact that the main character, Elin, is ten years old when this novel begins, I have difficulty seeing this as a young adult novel. It reads more adult than that. Don’t get me wrong, I love young adult novels and always will. But this book is a whole other level of beautiful writing, imagery, and complex character narratives. It has light moments and the dark. It’s atmospheric, but not flowery. The book begins in a loving home that turns into a dark place. Elin and her mother are outsiders. This story peruses racism and its effects in an ignorant, superstitious, and frightful society. Elin’s mother is killed at the beginning of the story. Even though we don’t get to see much of this character, she is rich and vivid, and it’s heartbreaking when she is executed. Elin tries desperately to save her mother, but ultimately fails, and her mother makes one last unforgivable sacrifice so her daughter can hopefully survive. Although there are multiple POV’s in this book, this is Elin’s story. We follower her from the time she is ten years old until she reaches the age of eighteen. If you are looking for something fast-paced instead of a steady, deep build, I would pass on this for the moment. You have to have patience with this book. I am by no means stating that is boring. It’s far from boring. You enter this magical, yet somehow still realistic, fantasy world full of creatures like the Toda, who are used by humans to fight their wars and battles, and the golden royal beasts, the prey of the Toda. You dive into topics where compassion is limited for these creatures, but a few do have true affection for them, including Elin. She has the gift of animal communication and is different from the others. You will fall in love with Leelan, and the relationship the dog has with Elin. There is so much I want to say about this book, but I don’t want to give away too much. I will say it’s amazing to read how much Elin’s character grows into an adult while having to deal with a country on the verge of a civil war and the consequences that happen and those to come. The beast player comes from the Japanese manga series "Kemono no Sōja". What a beautiful book! I really loved Elin's character. She reminded me a bit of Hermione. She's a bit of a know it all sometimes but in a very pleasant way. Esalu, the headmistress, reminded me a bit of Minerva McGonagall. They are both strict but they but have the same good intention. The so-called Royal Beasts in this book was very magical. You could see them per The beast player comes from the Japanese manga series "Kemono no Sōja". The so-called Royal Beasts in this book was very magical. You could see them perfectly formed in your mind. This book teaches you how to treat wild animals. This was done by a very good example. Because of this you get more depth in this book. It makes you think about how we treat wild animals (zoo's, sea world, swim with dolphins etc.) and if we should reconsider our thoughts about them. This was such a beautiful, adventurous and cute story. I loved reading it. Tired of every YA fantasy novel reading like the same book over and over? Me too. Tired of crappy instalove plots? Me too. If so, I cannot recommend The Beast Player enough. This book is a translated work of YA fantasy from Japan, and it is beautifully translated with rich world-building, complex characterization, intriguing politics, and thought provoking themes about the coexistence of humanity and animals. I loved it. There is no romance here, just the growth of a strong, intelligent female c Tired of every YA fantasy novel reading like the same book over and over? Me too. Tired of crappy instalove plots? Me too. If so, I cannot recommend The Beast Player enough. This book is a translated work of YA fantasy from Japan, and it is beautifully translated with rich world-building, complex characterization, intriguing politics, and thought provoking themes about the coexistence of humanity and animals. I loved it. There is no romance here, just the growth of a strong, intelligent female character, Elin, her relationship with a beast that she raises from a cub, and the human friendships (platonic male and female friendships!) she creates throughout her journey. The main character and atmosphere are reminiscent of a Studio Ghibli film (though the author is unrelated to the studio), so if you enjoy those films you will love this novel. There are actually 4 books in the original Japanese series, and this book only translates the first 2. Hopefully, if this book gets enough support, we will get to see books 3-4 translated as well. However, this book still has a satisfying ending and it is definitely worth reading regardless. I believe the next two books start up a new plot. The author has built a rich fantasy world within this novel. The country where our main character Elin lives, is ruled by two rulers, the Yoje and the Aluhan. This government is modeled after the Japanese emperor/shogun dynamic from the Tokugawa era, if you are familiar with Japanese history. Basically the Yoje is the divine ruler, symbolizing the gods and purity, and the Aluhan is the military commander. The Yoje uses beasts called Royal Beasts (a made up creature sort of like a flying giant wolf) to symbolize their divine right to rule, while the Aluhan's army rides on the back of Tohda, fearsome water serpents/dragons. We see a lot of this world through Elin's eyes. We see how both the rich and the poor live and how people make a living in this world, and we learn about the culture, the history, the lore, and how the people interact with the wildlife within it. It has been a while since I've been so entranced by world-building. The characters in this novel are all wonderfully complex. Shades of gray all around here. You understand the motivations of all the characters and why they act the way they do. Elin in particular grows a lot over the course of the novel. We watch as her world view is shaped by the actions of those around her and the consequences of her own actions. She is constantly forced to make impossible choices. While Elin's relationship with the royal beast is the main focus of the book, we also get to see her develop relationships with the humans around her. Nothing makes me happier than solid female friendships in books that have nothing to do with romance. Elin has both a male and female mentor/parental figure, and develops multiple friendships with her peers. Cathy Hirano's translation is wonderful. The prose is very well written, and my only question was why she chose to translate oujuu as Royal Beast (oujuu does actually literally translate as royal beast), but left words like tokujisui (literally special nourishing water) and tohda (literally war serpent) as is. Not a criticism, just curious. I've actually owned the first book in the original Japanese in this series for years, waiting for a time when I would be fluent enough to read it. Just as I thought I was finally ready for it, I happened to stumble across The Beast Player in English at Barnes & Noble. I am so happy to see more Japanese novels translated to English and gladly supported it. I'd still like to go back and read it in Japanese, but maybe now I'll start with book 3 to see how the story continues. No matter what they say, I refuse to bind her with the Law. This book was enthralling. I feel so lucky to have picked this book up on a whim and it has left me feeling that yes, you can indeed judge a book by its cover! But seriously, that cover art though! Uehashi does a beautiful job writing characters that feel genuine to real life. Girl who loses two beloved adult figures? Yes, she is able to move on, be strong, and make her own choices, but yes, it does pop into her head often and she does ge No matter what they say, I refuse to bind her with the Law. Uehashi does a beautiful job writing characters that feel genuine to real life. Girl who loses two beloved adult figures? Yes, she is able to move on, be strong, and make her own choices, but yes, it does pop into her head often and she does get emotional easily (during appropriate times, mind you). Girl all alone in a school full of boys? Yuyan and Elin make fast friends after meeting, and the refreshing part comes from the NO DRAMA, easy way their friendship stays together throughout the book. Lastly, the tough-looking headmistress of the school? Yes, she does speak her mind to Elin many times, but she ends up being Elin's biggest supporter throughout the book and provides her with consistent praise, support, and outlooks on situations that make her an amazing role model for Elin as she grows at the school. Can I get a hallelujah for characters that don't constantly clash for no given reason? Hallelujah!! Not only does she bring a refreshing cast of characters to the mix, but she explores the depths of the relationship between Beast and person in such an interesting and complex way that you can't help but turn pages. She writes the species of Royal Beasts in a way that nearly has you, as the reader, forgetting that they are also animals much in the same way Elin does as she progresses through the book. The dynamic between Elin and the Beasts is explored on such a deep emotional level while the human relationships she maintains are left fairly easy and uncomplicated and, truthfully, I really appreciated the deviation from the more typical tropes woven into the YA I'm more used to seeing. The best way to describe this book would be a breath of fresh air. Following Elin on her journey from young 10-year-old child to grown 20-year-old woman is so fun to read. Add in powerful beasts, endearing relationships, intriguing politics, mysterious history, and the occasional reference to Japanese culture (which I LIVE for) and you get The Beast Player. If you enjoy stories of personal growth, beautiful relationships, contentious politics, and genuinely interesting people (who behave like normal people) than I can not recommend this book highly enough! It has certainly made its way onto one of my all time favorite shelves and I can only hope that the next two books get translated because, while the ending was satisfying enough, there is so much more she could (and has) done with this story and I NEEDS it! Nahoko Uehashi is the author of ten books in the Moribito series, which have sold more than a million copies and won many major literary awards in her native Japan. An associate professor at a Japanese university, she has a Ph.D. in cultural anthropology and studies indigenous peoples in Australia. She lives near Tokyo, Japan.